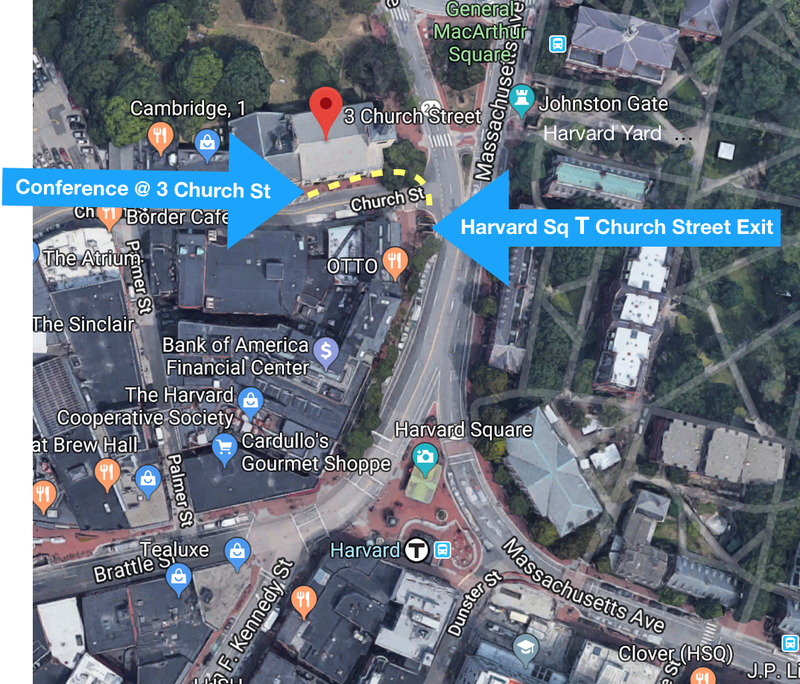 The 2019 conference location is: First Parish of Cambridge, 3 Church Street, Cambridge, MA. We’re thrilled to have the conference at this traditional, New England meeting house. The first meeting house was built in 1632; the current one was built in 1833. It was the site of Harvard’s graduation ceremonies years ago. The parish continues to be a gathering place for the community. There’s a large meeting room for our keynote, breakout rooms for sessions, and a room for food and exhibits. 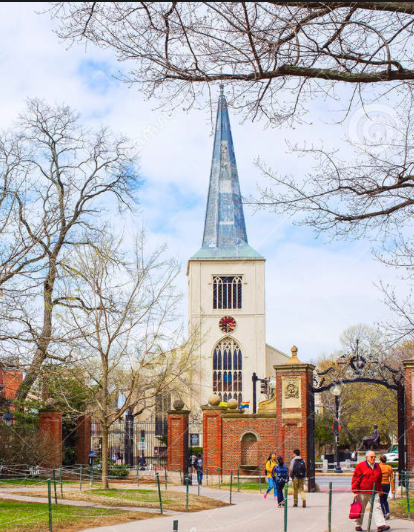 It’s steps from Harvard Square, a thriving hub in Cambridge. Harvard Square T Red Line exit to Church Street (see map below). The yellow dotted line shows the short walk. From the West: Drive I495 to Route 2 to Alewife T parking garage. Take Red Line to Harvard Square. From the North or South: Check out routes and parking for Red Line. Van/Bus If you bring a group by van or bus, email jenboudrie@gmail.com for parking lot directions. University Place Garage height (below) has a 6’6″ maximum height limit. Carpooling is encouraged. Contact jenboudrie@gmail.com at least two weeks before the conference if you have carpool/travel questions. 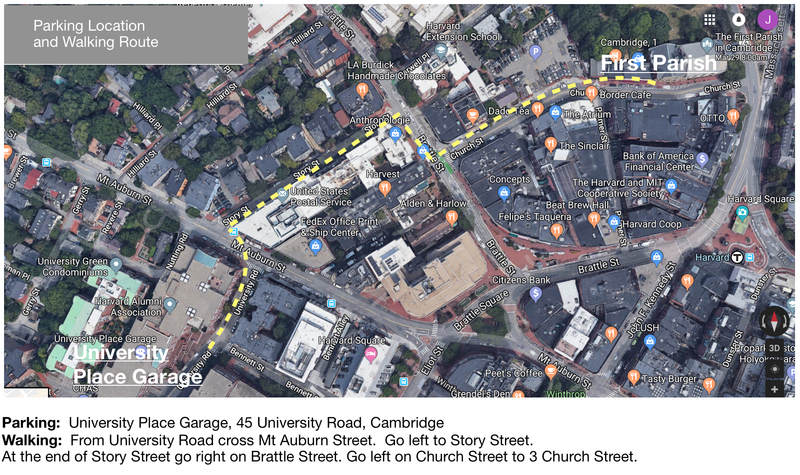 The Early Bird rate for the University Place Garage (see map below) is $19. Cars can enter before 9am and can exit any time before 8pm to get this rate. It is a .3 mile walk (6 minutes) from the garage to the conference.